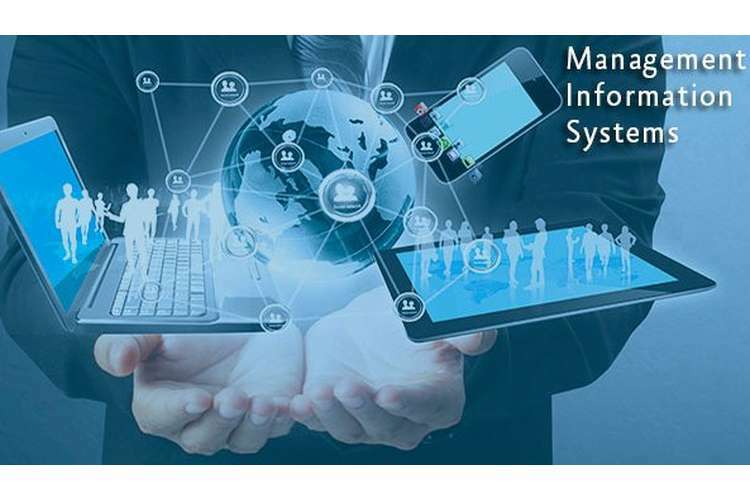 In MIS101 Management Information Systems Assignment, Management Information System or MIS is a computer-based protocol that provides a manager with certain tools to implement organisational procedures. The MIS provides a way to manage past records, present scenario and also predict future trends. 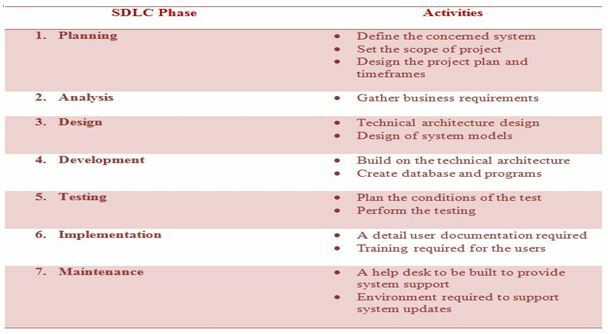 Typically, an MIS can include a set of software that helps in managing database, human resources and hardware components; provides decision support, analyse project applications and help run any computerized process with an objective to boost business functionality. The concept of MIS is deep rooted in the traditional form of collecting and processing information from the internal and external sources with the aim of good decision-making and facilitating proper business. As such, the idea and utility of MIS is time-tested. The techniques have however switched to an entirely computerized domain. It has the same purposes of providing the managers with data to control business processes. However, the digitization has added speed, volume of information, and accuracy. MIS has huge impacts in the functions, productivity, and overall performance of an organization (Chen et al. 2010 pp. 236). A good MIS will facilitate efficient management of marketing, finance, and personnel. The functional targets can be tracked and monitored easily. The information system will update the functional managers about the progress and shortfalls in the targets. Extrapolation of trends certainly keep the managers alert of the probable futures in various aspects. This helps in planning long-term perspectives and enforces good decision-making on the part of the manager. In a disciplined MIS, harmonic management and access of the database will lead to a critical analysis of facts and in many cases, saving of a great deal of the manager’s time. (Bulgurcu, et al. 2010 pp. 527) The use of a data dictionary dictates common understanding of terms and figures bringing some clarity within communication. Since the MIS is instinctively set with the goals and objectives of the organization, it will indirectly create a unidirectional motive towards achieving corporate goals by supplying relevant information to all points within the organization. IT, or Information Technology, is a broad field of study and work concerned with any aspect of collecting, managing and processing information as well as how to design systems associated with it. (Petter et al. 2013 pp.50) Within the perspective of a large business organization or company, IT generally describes computer systems and networks. It includes all layers of all the computer systems within the company. This includes the hardware layer, the operating systems, application software, the servers, databases, storage devices etc. Also of substantial importance in the IT infrastructure are the Telecommunication system, network protocols and topologies, including internet and intranet. Explain different types of MIS and analyse their strategic and competitive opportunities for business. Transaction Processing Systems: These are designed specifically to handle large volumes of recurring transactions. With the introduction of mainframe computers in 1960, TPS came into existence. They are still widely used in banks and financial institutions to record withdrawals and deposits into accounts, or by markets to track or manage inventory. Common examples include payroll, reservation or stock control systems. By providing speed and accuracy over large volumes of numeric data, a good TPS will ideally produce a competitive edge in business through proficient data and trends management. Management Information Systems: These are typically used by middle-level managers to enable swift functioning of the organization in the short term. These systems provide highly structured information that helps these managers to evaluate the overall performance by comparing current trends and previous outputs. Common examples include sales management or budgeting systems. Middle-level management is strategically essential to ensure harmonic management of resources throughout the organizational ladder. Database Management Systems (DBMS): Stores large volumes of data that is necessary to tackle the problems given to the system. Model-based management system (MBMS): Acquires data from the DBMS and converts it into information which may assist in decision support. Dialog generation and management system (DGMS): It is the interface between the managers and the system that is friendly enough for users who have very basic or no computer training. Some examples of DSS are Group Decision support systems (GDSS), Computer Supported Co-operative work (CSCW) etc. Expert Systems and Artificial Intelligence: These are systems with cognitive functioning to solve problems that typically require human expertise. To mimic the human intelligence quotient, a computer needs to. Apart from giving a solution, these systems also explain their erudite logic to the managers and thus, act as a teacher. A popular example is the Executive Information System. (Ahlberg et al. 2013 p.856) These systems are often made specifically to pertain to a particular client or group of clients. These systems prove to be strategically very upbeat and provide high competitive edge by ensuring the intelligent functioning of decision support, database management and Human Resource management systems. The World Wide Web can be technically defined as the collection of resources on the Internet that use the Hypertext transfer protocol or HTTP. A generalised definition of the World Wide Web is the universe of network-accessible information, an embodiment of human knowledge. (Bajdor et al. 2014 p.659) HTTP is the protocol used to transfer documents of hypertext which constitutes the World Wide Web. A generic web address, such as Google.com is known as the Uniform Resource Locator or URL and the prefix “http” indicates the protocol it follows. A web page is a document that is hosted by any organization or individual on the internet, having a specifiable address or URL, and a collection of such web pages forming the entire portfolio of the host is known as a website. A Database is an ordered collection of data and a set of instructions to manipulate the data. The technique of creating and managing database can be viewed as a method to mould necessary collected information into a knowledge base for managers and employees. ( Venkatesh et al. 2013, p.34) The Database is usually associated with a Database Management System that works on it. In a business organization, there is a large volume of data and datasets to be maintained and referenced. Efficient manipulation of this data requires management in an orderly fashion. As such, DBMS is a marked improvement on the traditional style of keeping data-files in file cabinets. Computerized databases facilitate integration of multiple sources and a conflict-free management of these sources. Using Databases, cross-links or references can be made to other resources. A Data warehouse or an Enterprise Data warehouse (EDW) is used for data reporting and analysis. These are central knowledge bases integrated from multiple sources that are used to create analytical reports throughout the organization. Some examples of EDW are quarterly comparison of trends, daily sales analysis etc. (Léger, et al. 2013 p.55) It is considered to be a core component of Business intelligence. In Business administration, the set of processes, data, technologies, strategies and technical architectures that are usually used by administrators to handle business information, is collectively known as business intelligence. In the efficient functioning of business architecture, strategic decision making has a key role. BI supports decisions including objectives and priorities at the base level. BI tools empower a business to gain trenchant insights into nascent markets, balance supply and demand, asses the quality of products and efficacy of services for disparate segments of the market. An Object can be anything ranging from variable or a function to a predefined data structure. In the class-based OOP (Object oriented programming) paradigm, they refer to an instance of a Class. This technology aims to implement the advantages of reusability and modularity over the procedural paradigm. The objects interact with one another to produce complex applications and designs through computer programs. Every scenario in nature is composed of different objects. Let us consider the example of an educational institution. (Sharma et al. 2003 p.546) The employee portfolio is divided into two working sectors, namely, teaching and non-teaching. Further subdivision can be made for the purpose of managerial coordination. The various departments of any working organization, such as this, can be considered as objects. The class ‘teaching’ contains various objects like Dean/Principal, faculties pertaining to specific departments or subclasses. Now the class ‘non-teaching’ might contain sports personnel, laboratory staff etc. If we consider an object of the ‘teaching’ class which is also an instance of the subclass ‘Mathematics’ i.e. a teacher of mathematics, we get all the attributes of the classes without knowing the details. Further, all objects of ‘Mathematics’ class inherit the attributes of superclass ‘teaching’. In this way, objects interact with each other to implement an entire system in the digital world. Among the various Information systems discussed above, the Decision support system incorporates various technologies and strategies to facilitate effective and intelligent decision making. Because the dynamics of decision making forms such an influential part of business intelligence, the information systems have been optimised to provide support over a wide range of decisions. Business –to- Business (B2B): This model dictates the sale of its product to an intermediary buyer. This intermediate will then sell the product to the ultimate consumer. For instance, a wholesaler purchases a product from a company’s website and sells the same to his retail customer after receiving the consignment. Business –to- Consumer (B2C): In this model, the concerned website sells the product directly to the customer. Consumer –to- Consumer (C2C): Consumers conduct sale of their private assets such as cars, property etc. or provide rent of room or service by providing relevant information over the website, the latter acting as an information host. Consumer –to- Business (C2B): A website shows various options for a particular service from which, a customer a particular business upon his/her own discretion. For example, a comparison of loan interest rates provided by various banks against other details. Business –to- Government (B2G): It is like the B2B model, except in this case, a government uses the website to trade information with different businesses. Government –to- Business (G2B): Used by the government to approach different business institutions. Tenders, auctions and application functionalities are offered by these websites. Government –to- Government (G2G): Governments use these websites to appeal to general citizen. They provide services like marriage registrations, Identity card registrations etc. Privacy is a fundamental right of every organization about sensitive information and data which enforces the members to maintain complete seclusion of such data and selective expression of the same. A number ethical issues stem from the enforcement of privacy of information within an organization. Thus, to safeguard any threat towards the breach of privacy, the information systems are protected by the database administrators by providing suitable access rights to various employees. Further, legal agreements are drafted with the employees to ensure confidentiality of data. Intellectual property (IP) is defined as anything created out of individual intellect or that of a group or organization, the monopoly for which is assigned to the designated ownership by legal enforcement. Intellectual property rights are the different protections which are attributed to the creators of such a property. These rights include patents, trademarks, copyrights design rights etc. A Copyright is an IPR that, when granted, gives an exclusive right over the concerned document, to the creator of the property, typically for limited time. A wide range of works like scientific or scholarly publication, artistic creation can be protected by applying a copyright to it. However, a copyright does not cover information but only the way or form in which they are published. 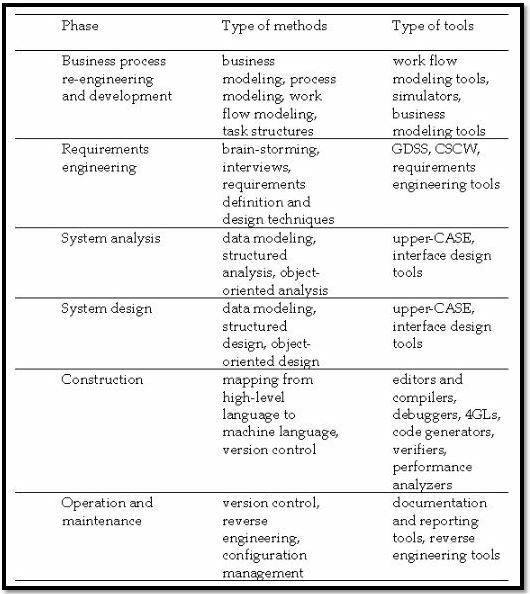 During the early 1970s, most of the MIS systems had applications limited to support tools for organizations. However, with the advent of the 21st century, management information systems have started to play a more influential role in the everyday functioning of a business organization. Among the emerging trends, a considerable one is the development of cloud computing. As the cloud came to acquire more data with improved security and speed, the costs were significantly cut down on the storage infrastructure. Cloud storage enables easy and efficient management, as does mobile computing. Smartphones and tablets can also tap onto the organizational network and allows for better communication among the workers and between the employees and their customers. But the biggest trend in MIS, perhaps, is the booming field of analytics. These days, more and more businesses are turning to big data analytic solutions for improved access to their performance. This facilitates managers to manage records and plan strategies, with increased efficiency. The importance of an edge in information technology and related IT resources for a business organization is indispensable as more and more organization rely on information management systems and emerging technologies related to it, for efficient functioning. In modern planning and management, MIS is being constantly employed to facilitate proficient management of data, resources and planning future success of an organization in general. The learner has discussed the contents of the assignments critically and presented the same for a better understanding. Power, D.J., Sharda, R. and Burstein, F., 2015. Decision support systems. John Wiley & Sons, Ltd.
Ahlberg, C., Wistrand, E., Thoresson, J., Truvé, S., Weilenmann, K. and Sparud, J., 2013. Interactive event-based information system. U.S. Patent Application 13(3) pp. 856 -867. Bulgurcu, B., Cavusoglu, H. and Benbasat, I., 2010. Information security policy compliance: an empirical study of rationality-based beliefs and information security awareness. MIS quarterly, 34(3), pp.523-548.